Most of you have been to Buggyfit, Core & Restore, Mums Bums & Tums or my evening fitness classes at some point over the years. It is always great to hear from one of my Buggyfit mums saying she has had no. 2 (or no. 3!) child and is coming back to classes!! Those who came 8 years ago would come to a totally different Buggyfit or MBT class than back then – now research has shown you shouldn’t run with a new baby in the buggy till they are 7 months! I think I have always advised not to run until you are at least 13/14 weeks post natal – that is still true and even more so if you have any pelvic floor weakness or a diastasis. If you come to ANY of my classes no matter how old your children are I will always still check and see how your abs are, ask you to fill out a form so I can see if you have any niggles and I will ALWAYS talk about the pelvic floor. 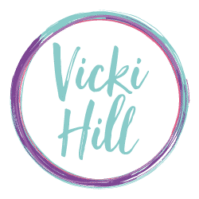 I do a number of outdoor and indoor classes so if you are interested then have a look at my website www.vickihill.co.uk (watch this space my new one is coming in 2017). I will always look after you at my classes ensuring you don’t make a bulging tummy that has still got a gap down the Linear Alba worse and can talk to you about any pelvic floor issues you may have. 2016 saw the arrival of the Post School Drop Off classes every Tuesday and Thursday at 9.15 – 9.45am which is perfect if you just want a quick, effective workout. Get in touch if you want more information (NOT Suitable for new mums – only 10 months post & if no issues). Thank you to Nicola who has had this to say about my classes …. ← How to survive the Christmas Season!